Famous American linguist Noam Chomsky has described the actions of the Israeli occupation in Palestine as “worse than South African apartheid”.“In the Occupied Territories, what Israel is doing is much worse than apartheid,” Chomsky says, according to Days of Palestine. “To call it apartheid is a gift to Israel, at least if by ‘apartheid’ you mean South African-style apartheid. He described listening to the American mainstream media, such as CBS, like listening directly to the Israeli propaganda agencies. “It is a shameful moment for US media when it insists on being subservient to the grotesque propaganda agencies of a violent, aggressive state [Israel],” he said. Chomsky accused the United States of continuing to provide the decisive support for the [Israeli] atrocities against the Palestinians. 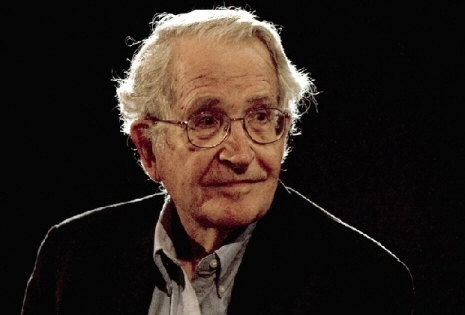 In a long interview with Democracy now, Chomsky insisted that the US is a violent state and is it exporting violence to other countries like the Israeli occupation.